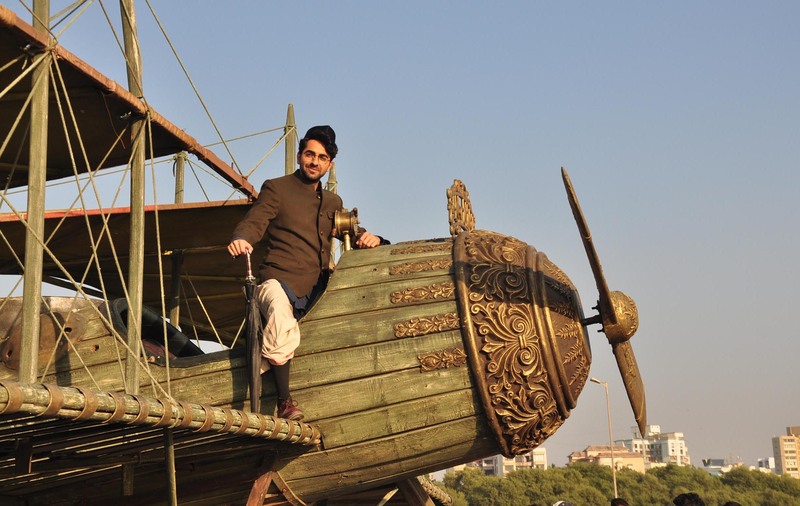 The team of Hawaizaada recreated history by installing the replica of Shivkar Talpade’s plane on the Versova beach in Mumbai. Both Ayushmann Khurrana & Vibhu Puri were present at the event. 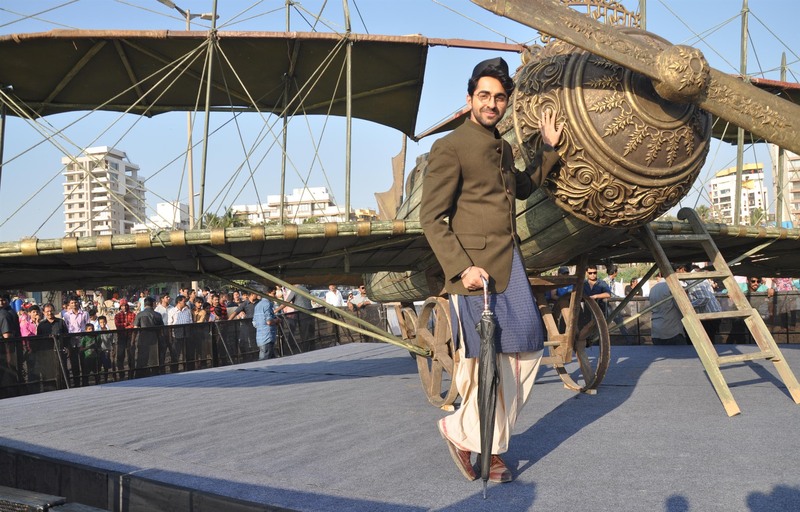 Ayushmann Khurrana who will be seen playing the role of Shivkar Talpade was dressed in his character.Both the actor and director spoke about the unsung legend and his historic creation.